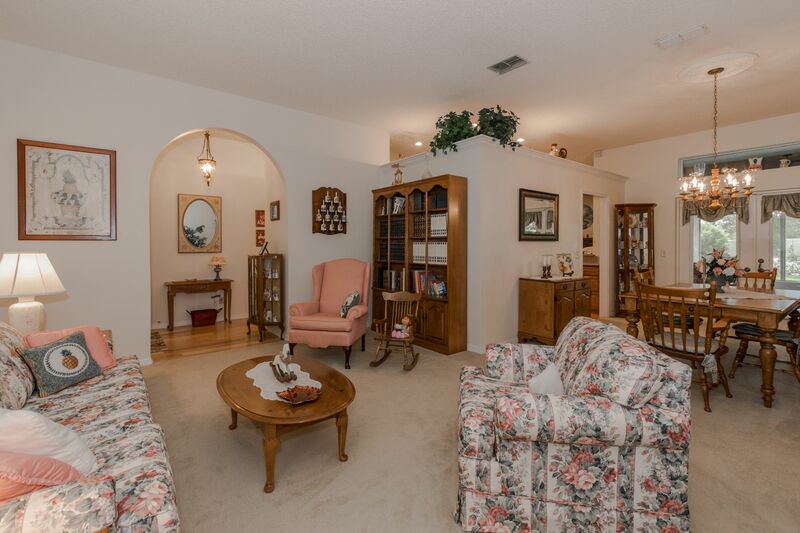 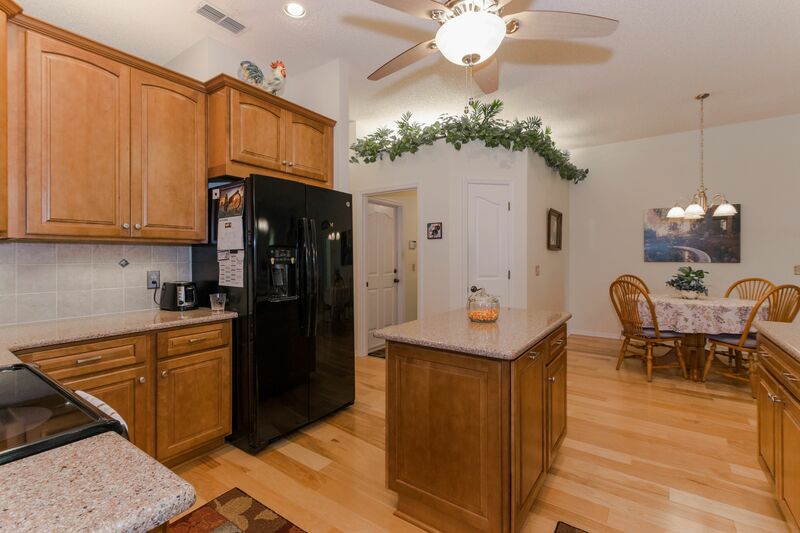 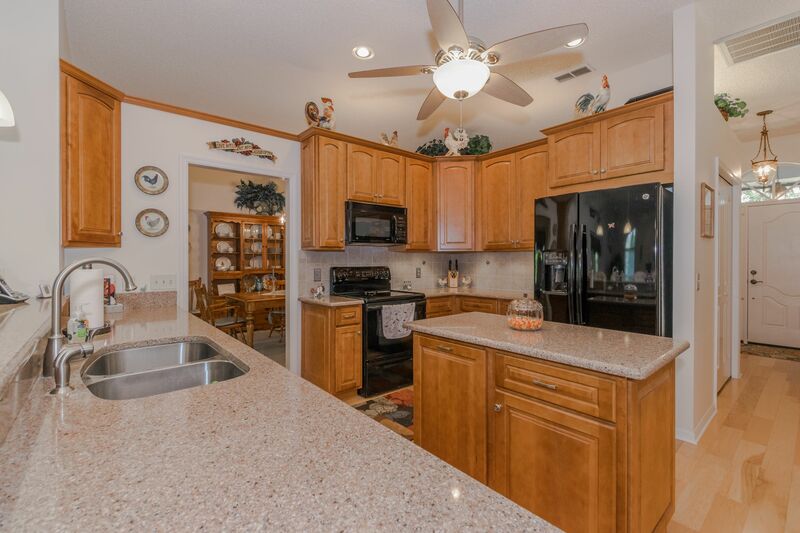 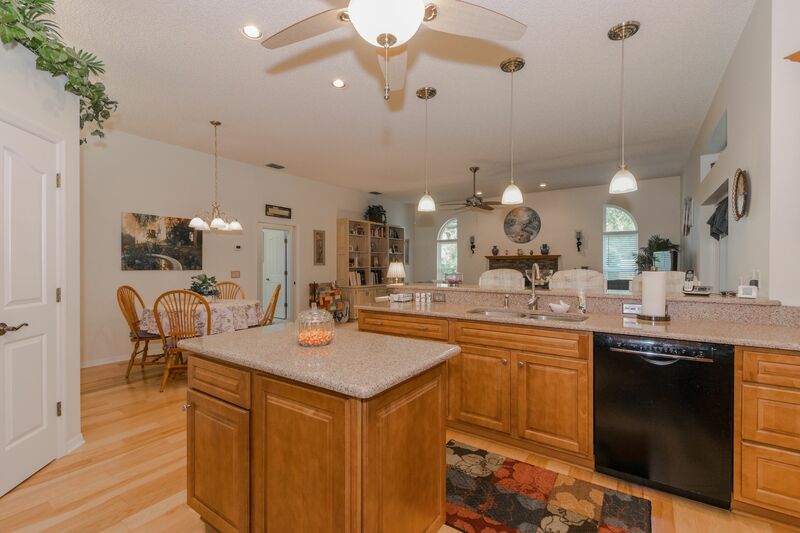 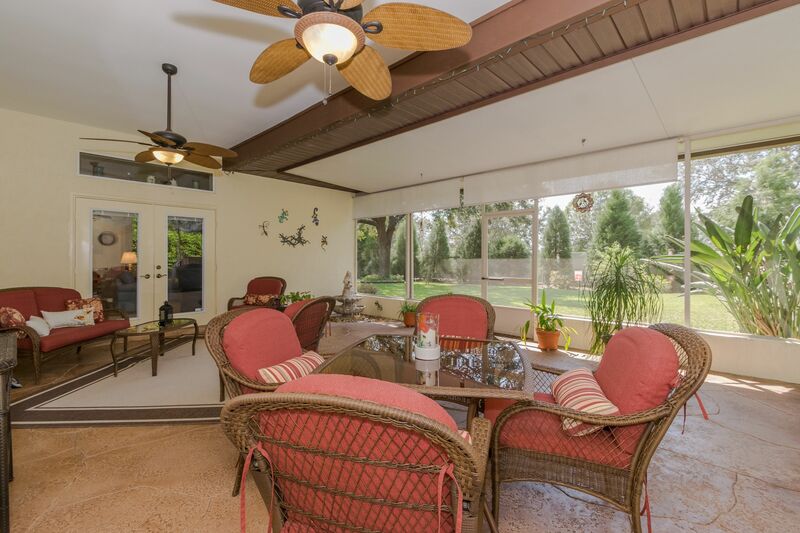 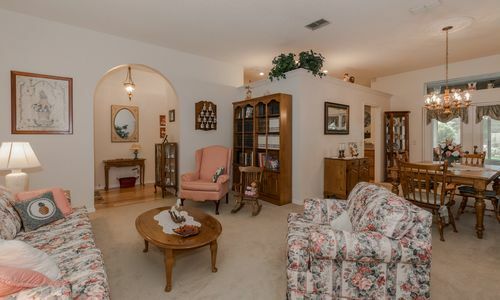 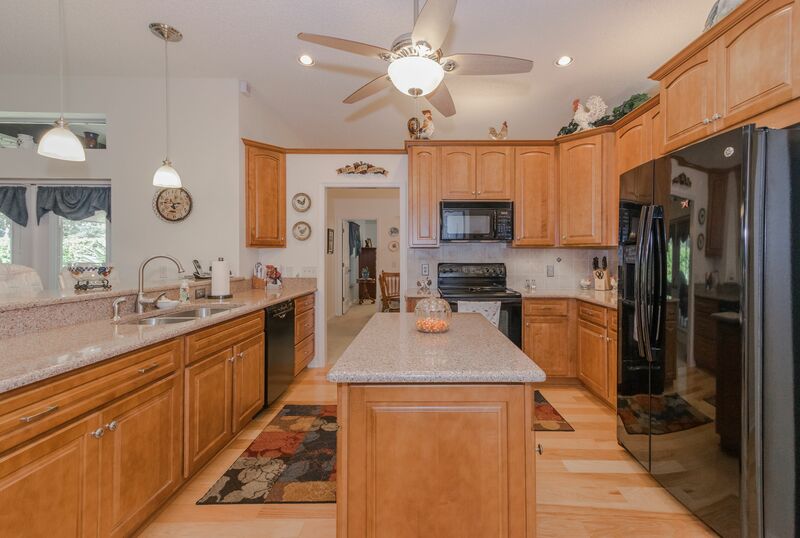 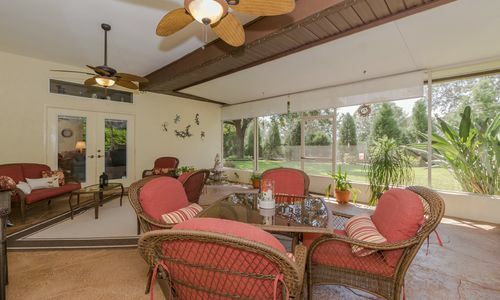 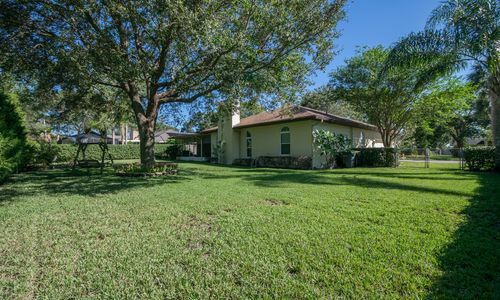 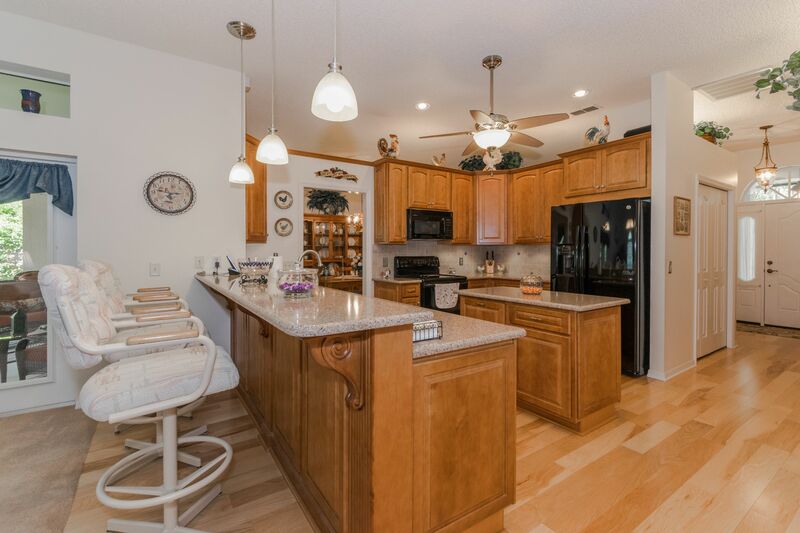 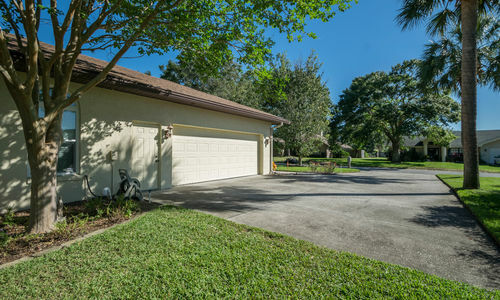 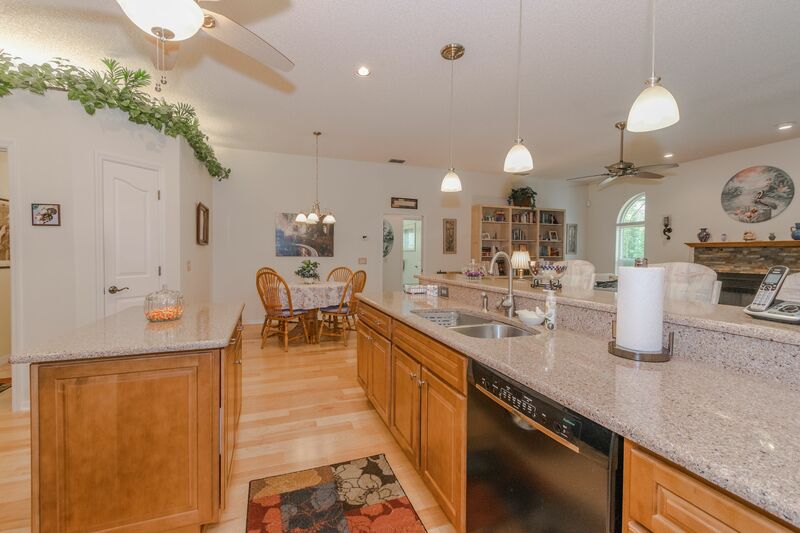 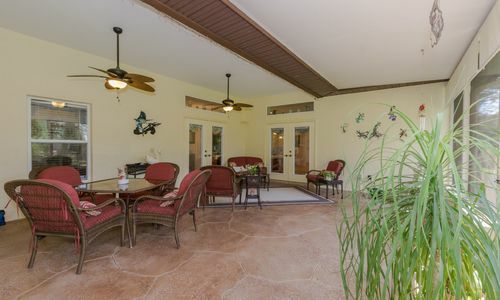 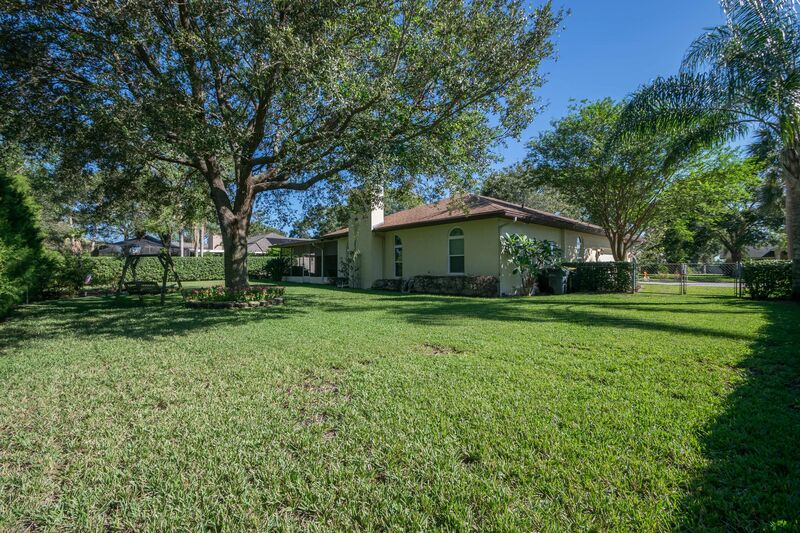 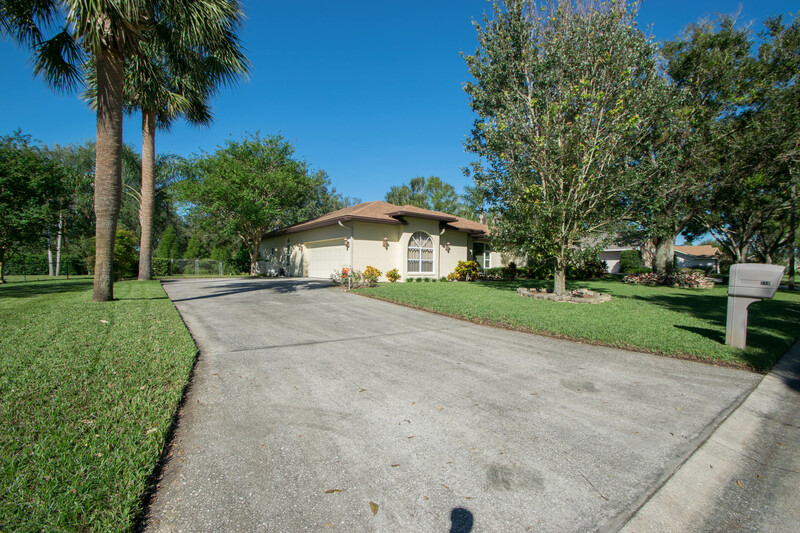 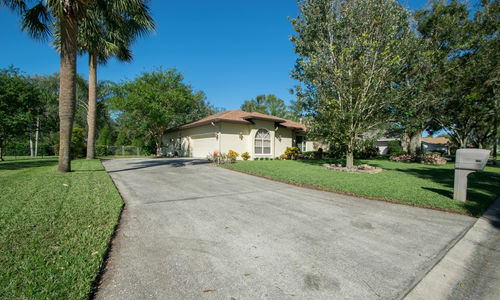 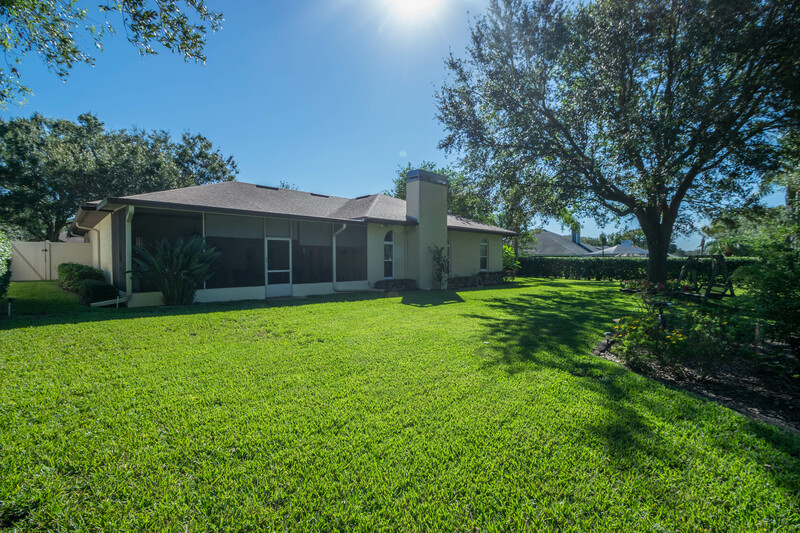 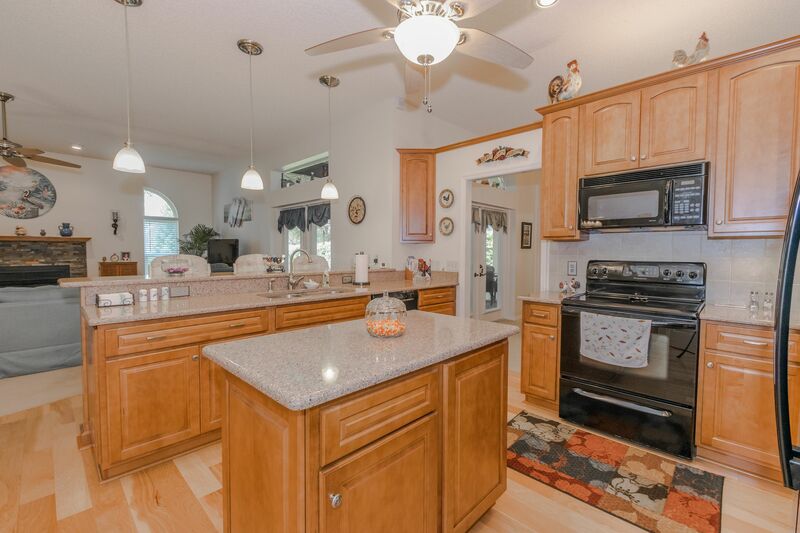 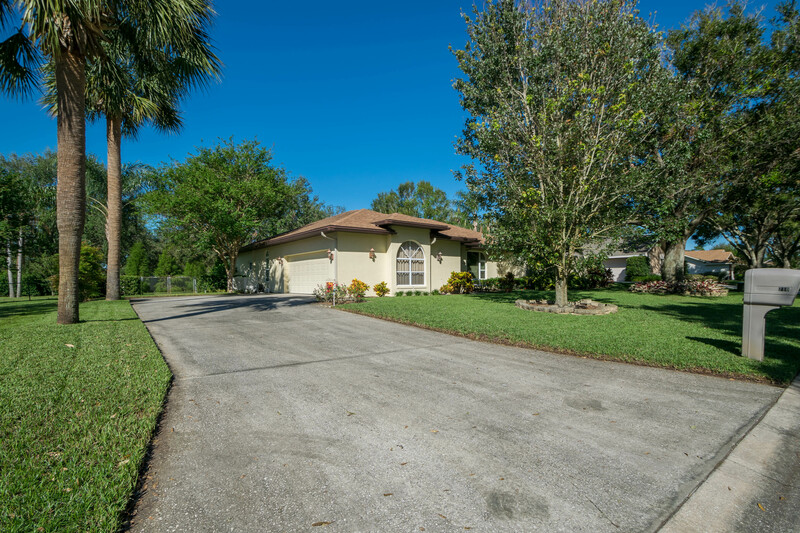 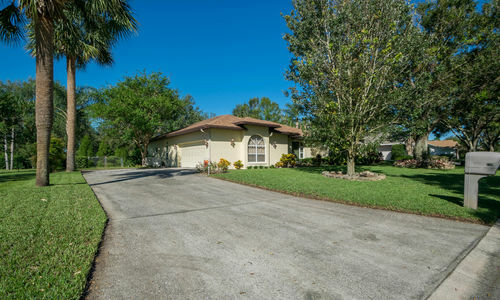 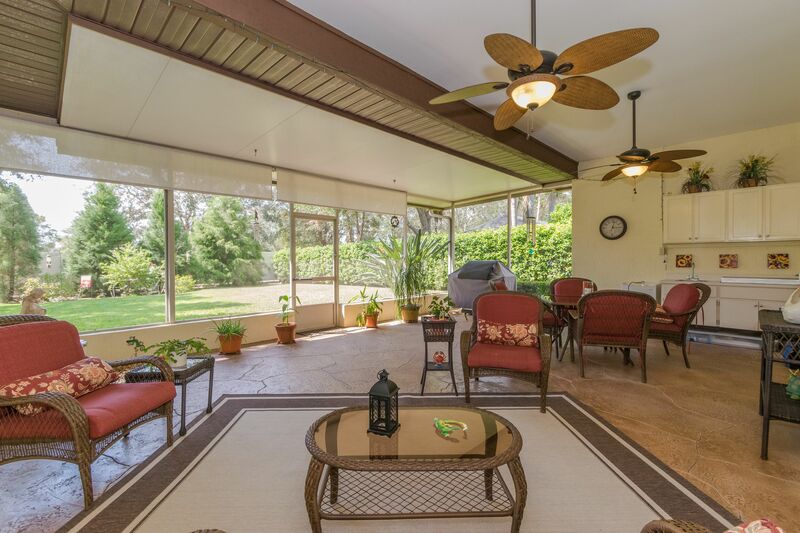 Home for sale at 710 Lake Eloise Place in Winter Haven. 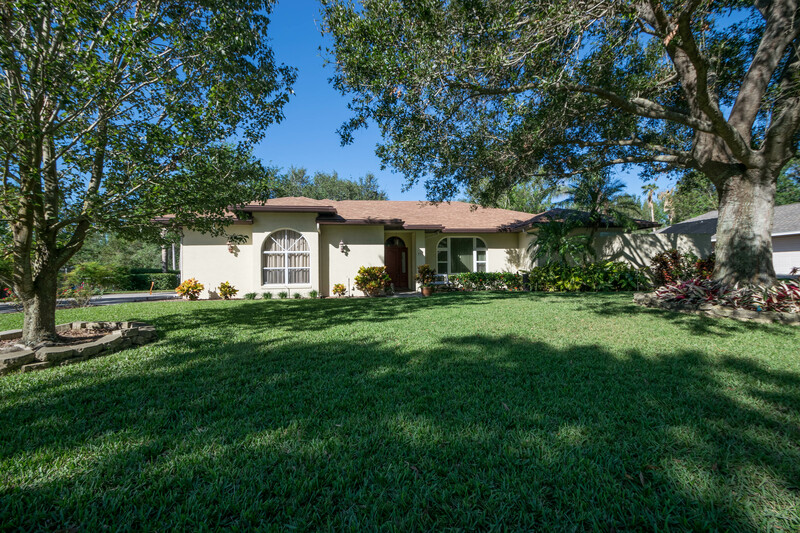 STUNNING 3BD/2BA RESIDENCE IN DESIRABLE S.E. 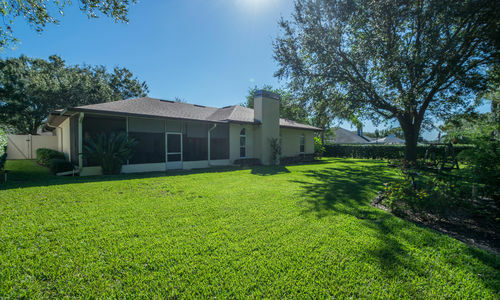 WINTER HAVEN’S LAKE ELOISE PLACE – BRAND NEW ROOF. 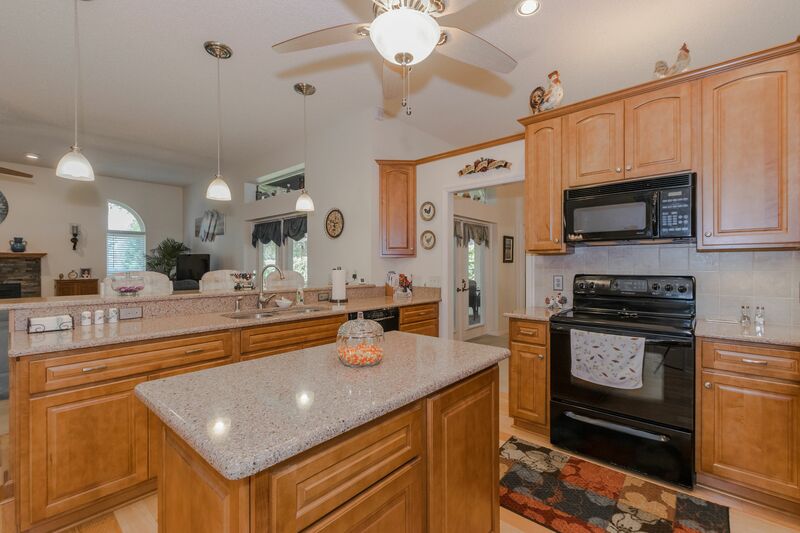 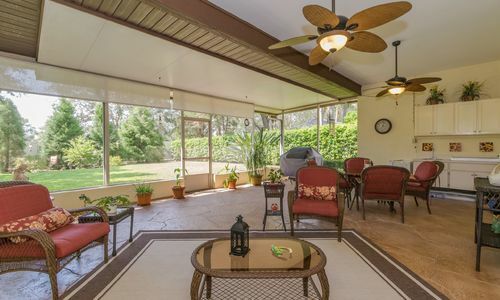 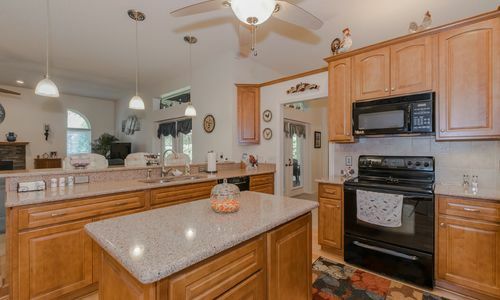 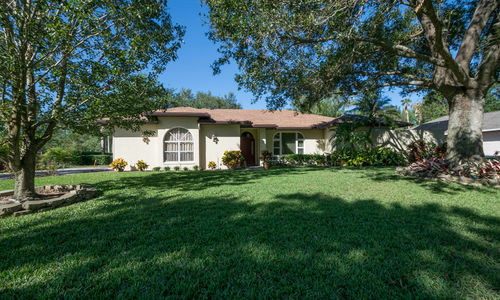 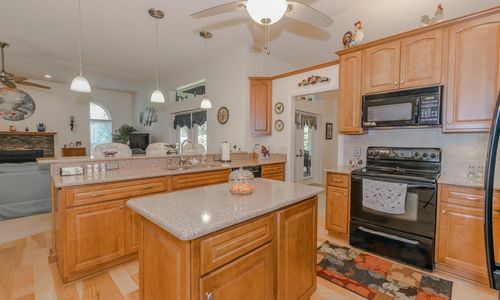 This well maintained home features many updates and a great floor plan. 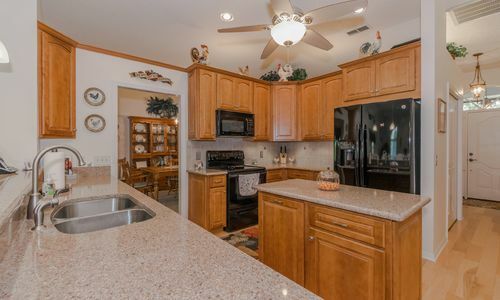 The kitchen is the heart of this home and has been remodeled with beautiful quartz counters, custom soft close KraftMaid cabinetry with slide out pot/pan storage, a double garbage can drawer, under and over cabinet lighting, prep island, full appliance package, breakfast bar with pendant lighting, a breakfast nook, closet pantry and wood flooring. 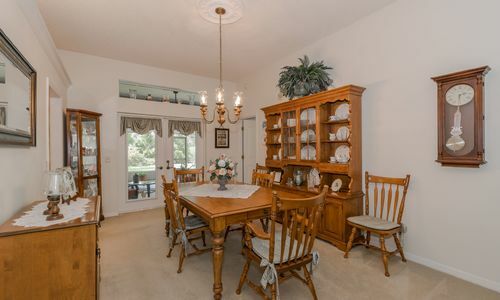 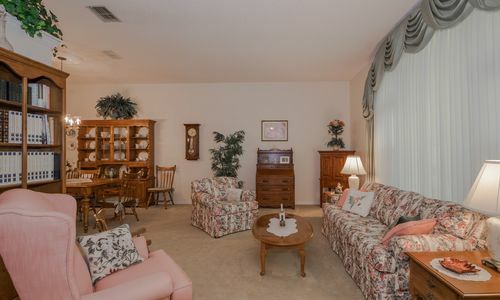 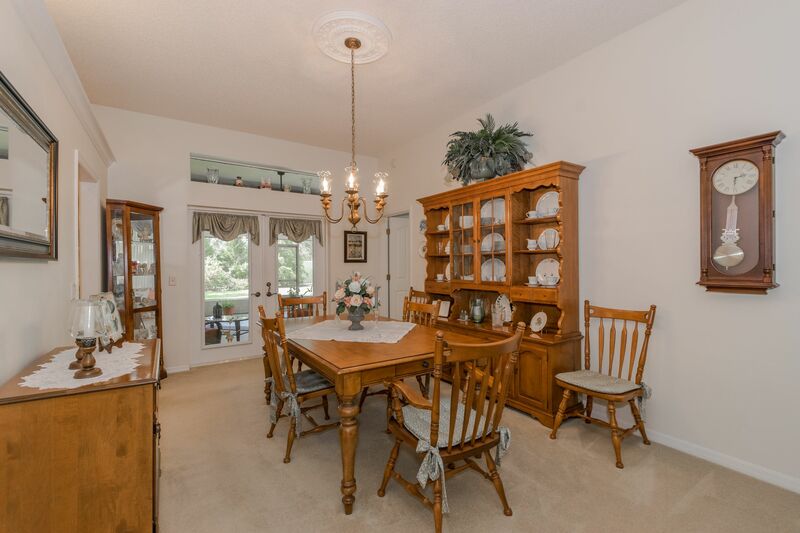 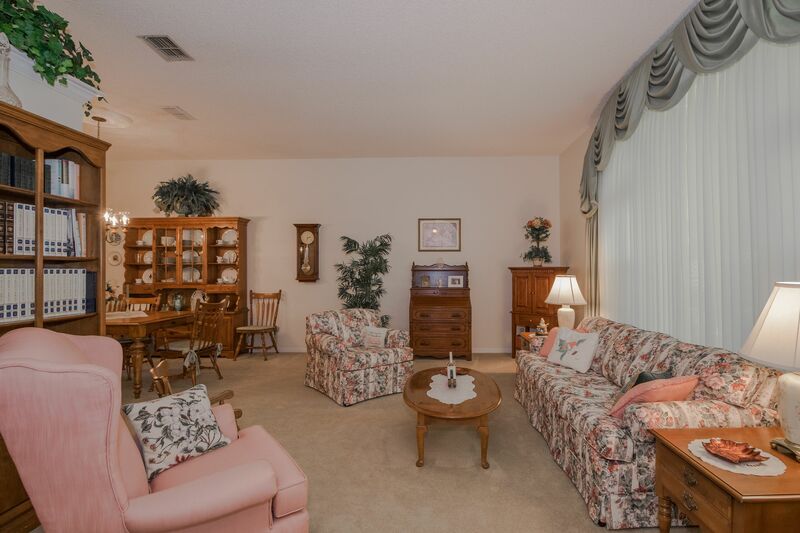 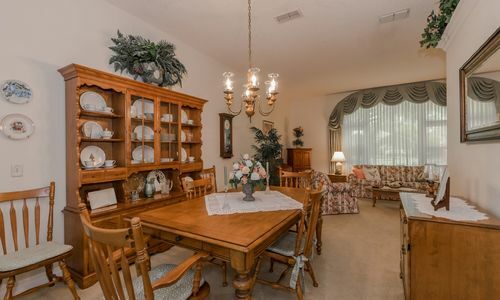 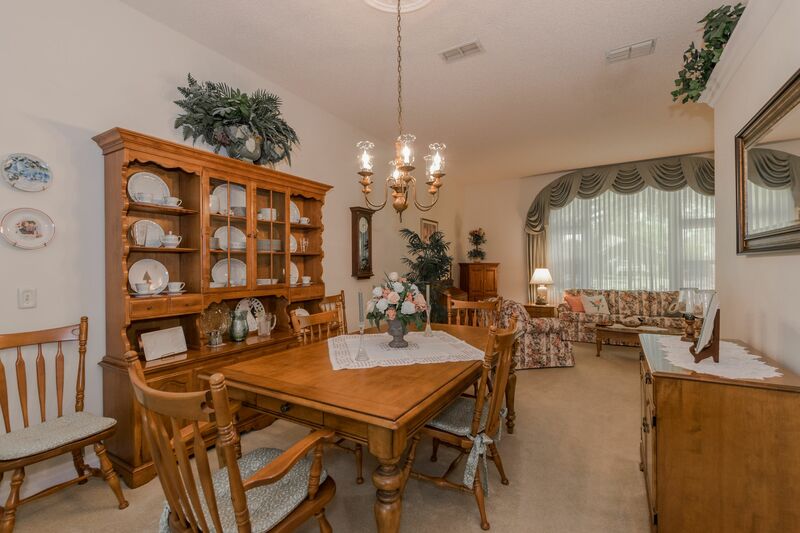 Formal living and dining rooms are spacious in size. 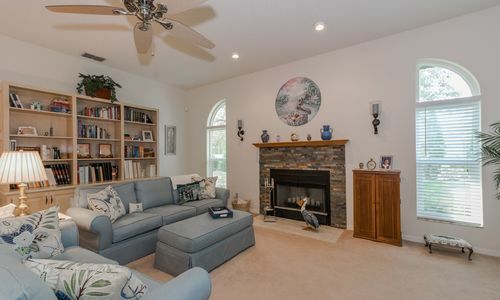  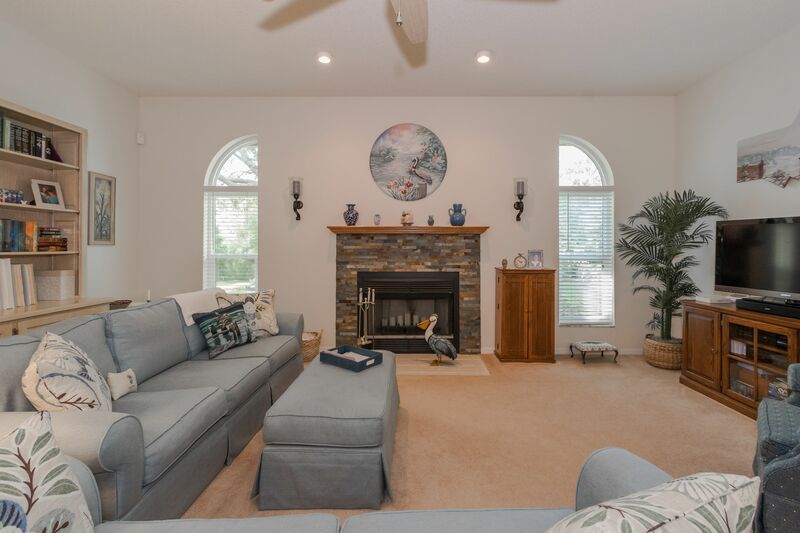 The family room features a wood burning fireplace with updates stacked stone and french doors to the lanai. 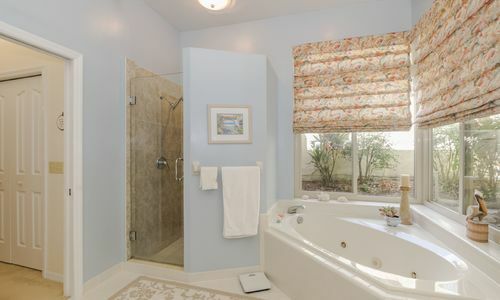 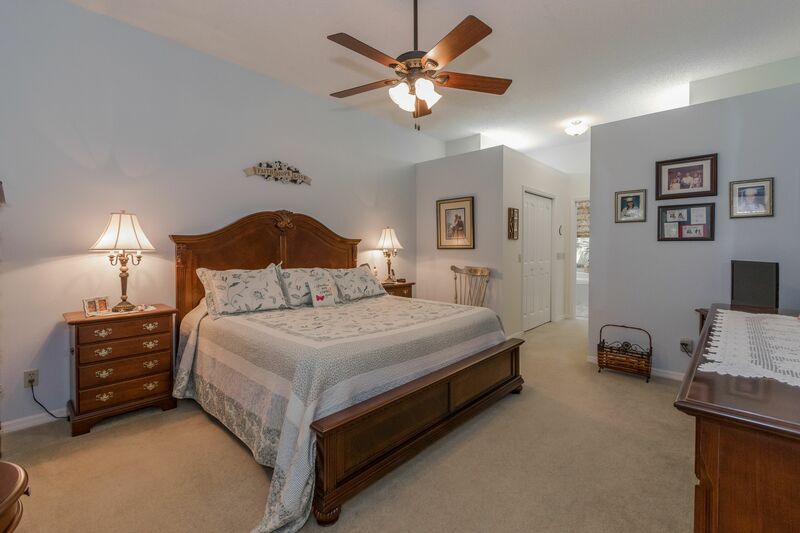 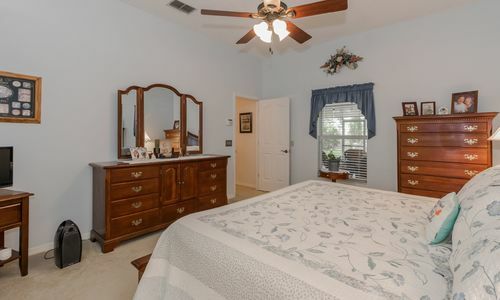 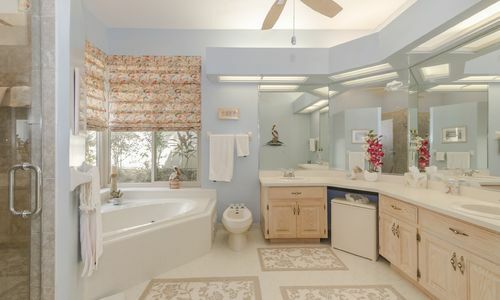 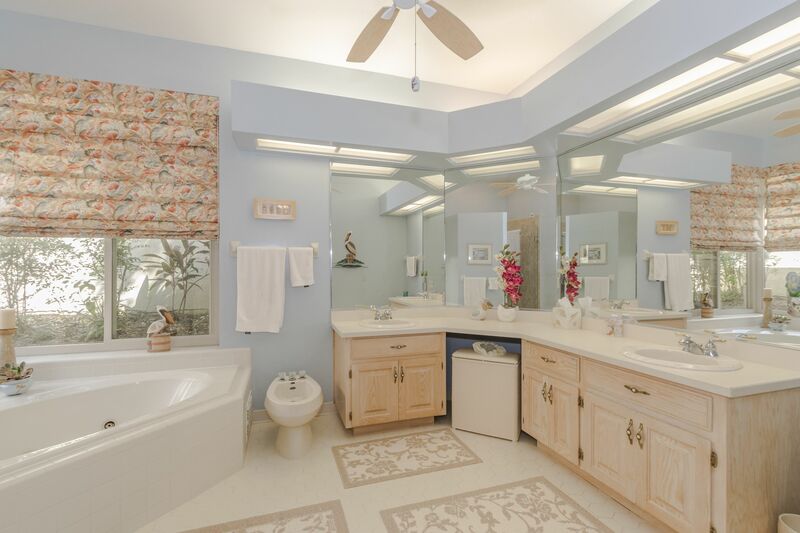 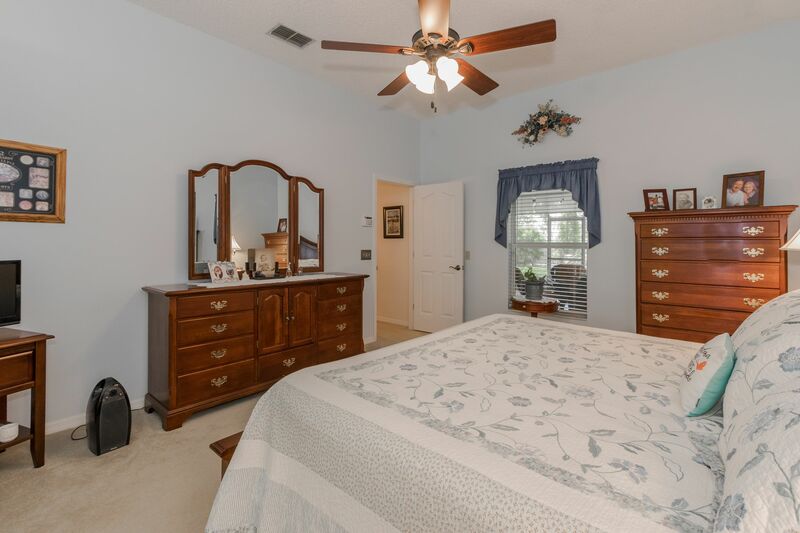 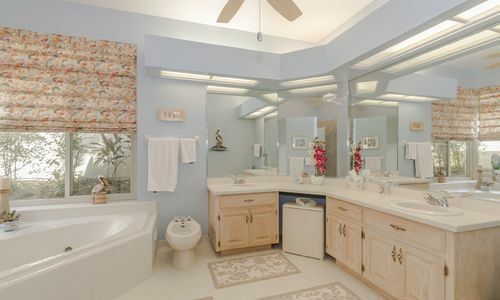 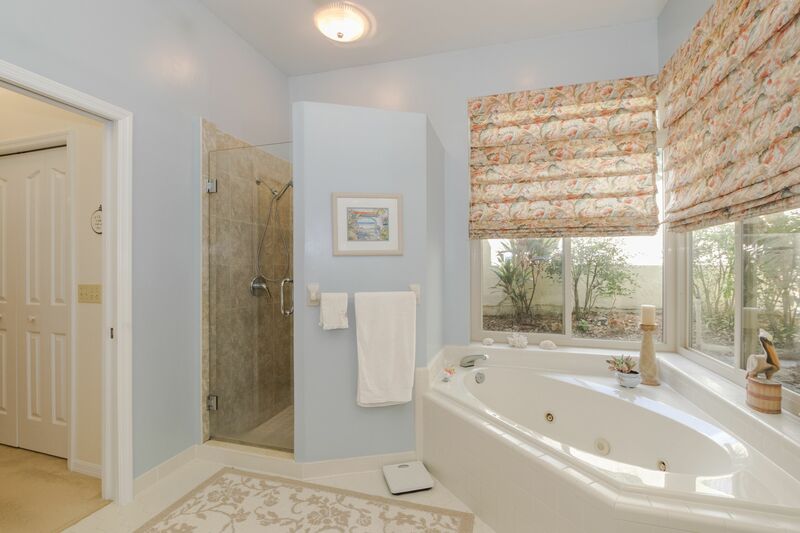 Master suite offers his and her walk-in closets and a master bath with jetted soaking tub, walk-in shower with updated tile, bidet and dual sinks. 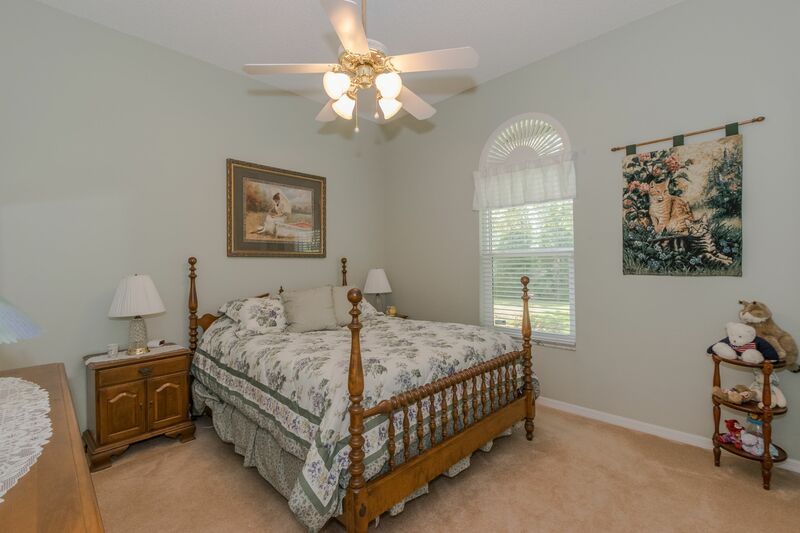 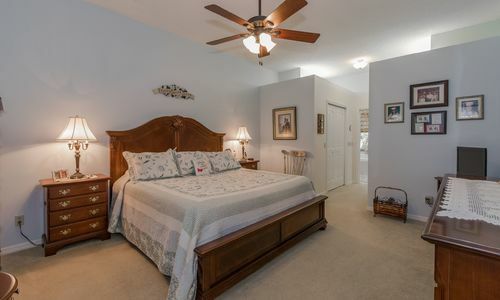 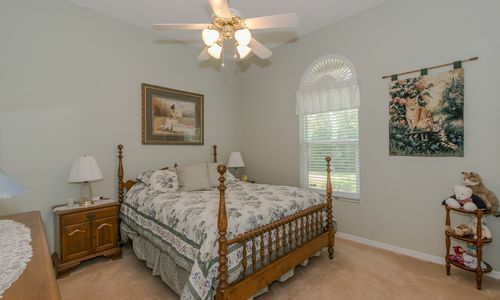 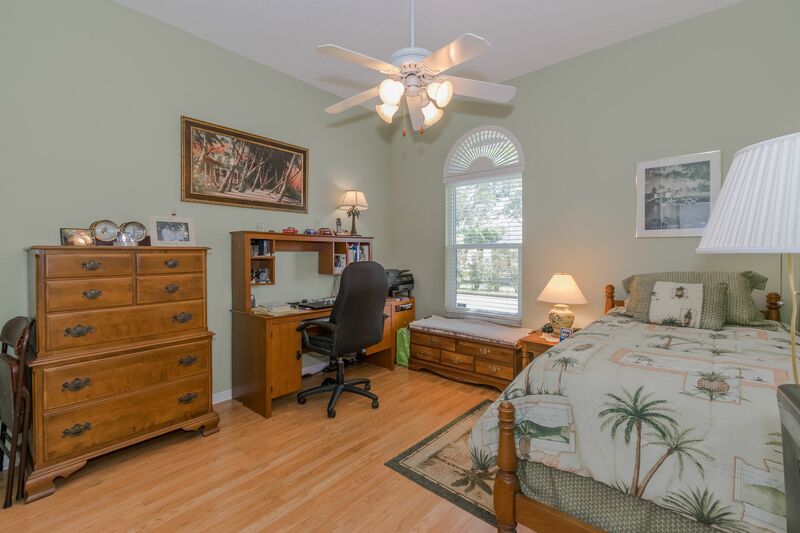 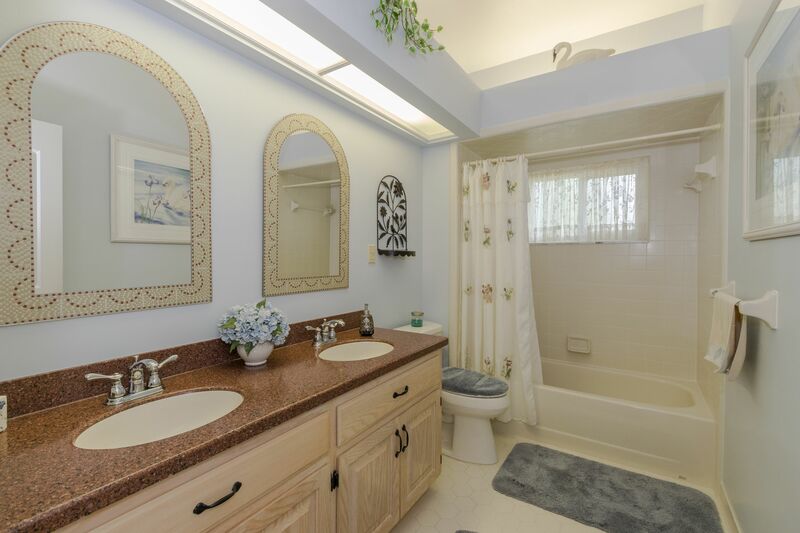 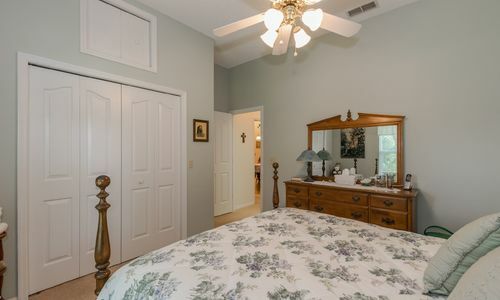 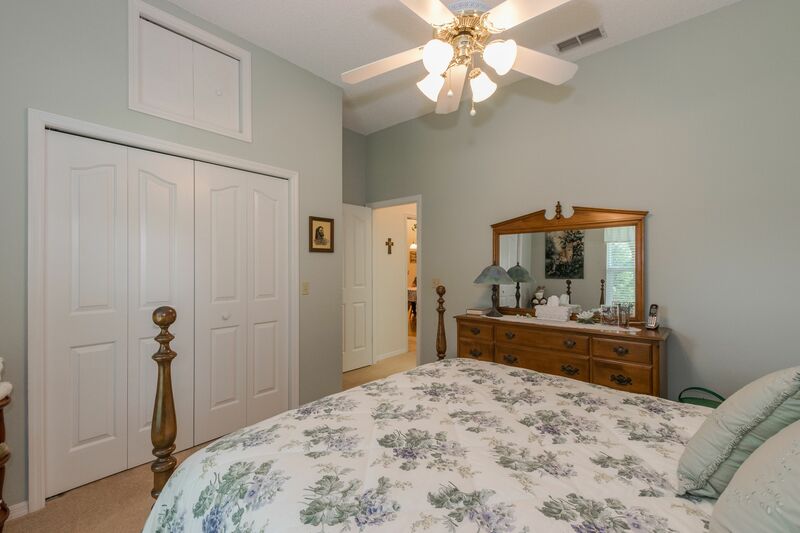 Second and third bedrooms are conveniently located beside the second full bathroom. 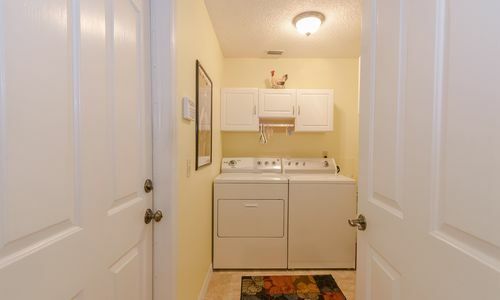 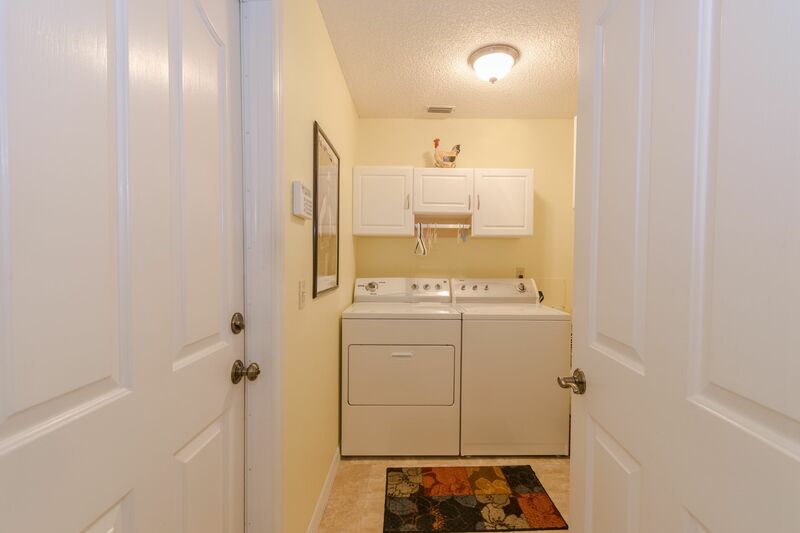 Inside laundry room features cabinetry and a hanging rack. 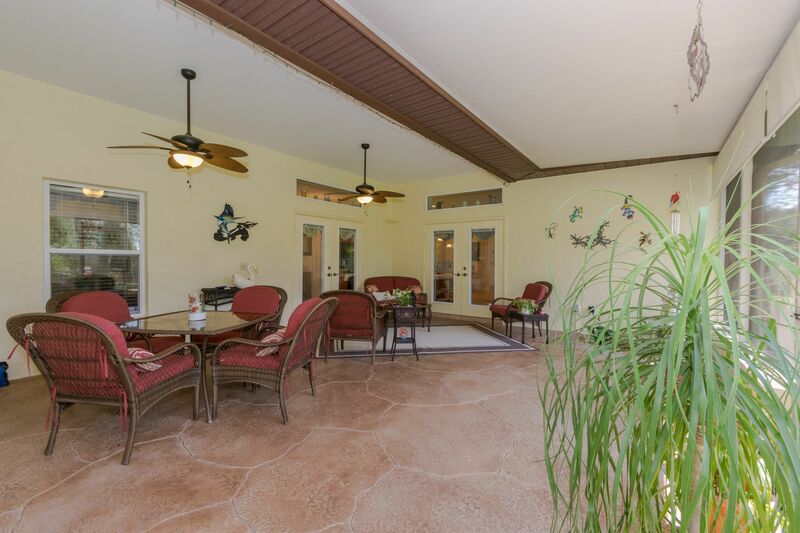 The large 27×20 screened lanai is the perfect area for entertaining with a kitchen offering a Jenn-Air grill, sink, mini refrigerator and cabinetry. 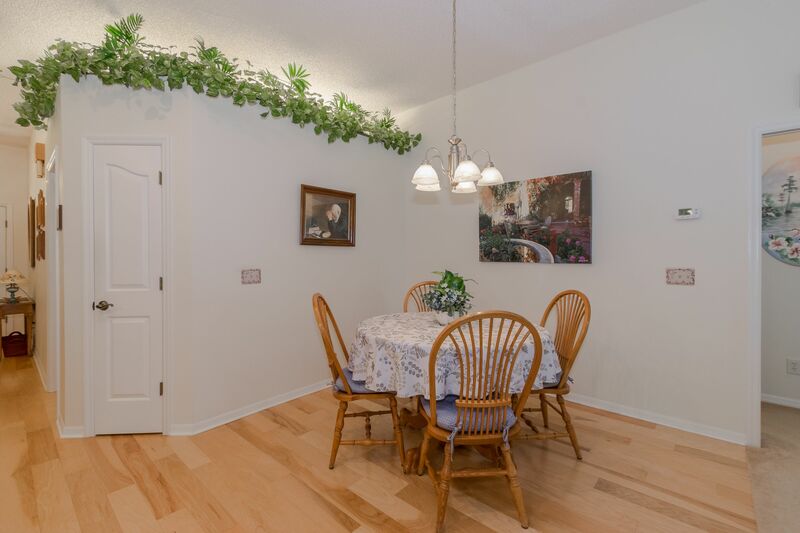 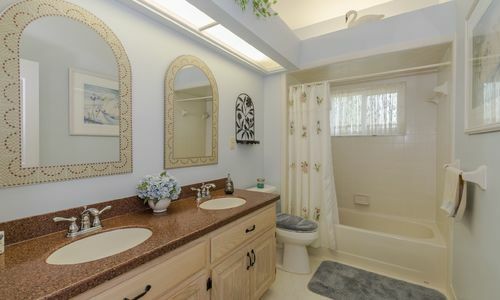 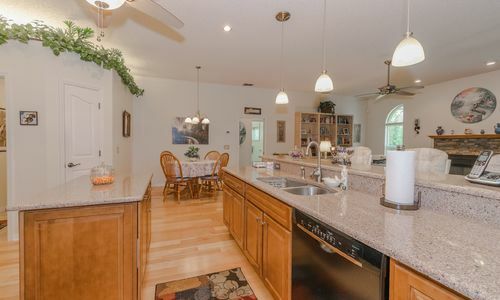 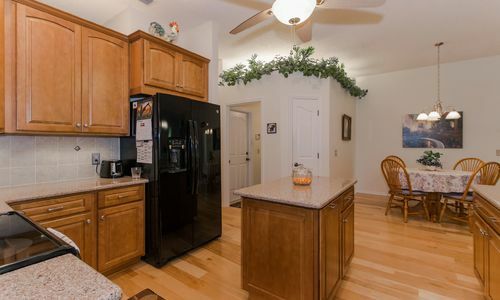 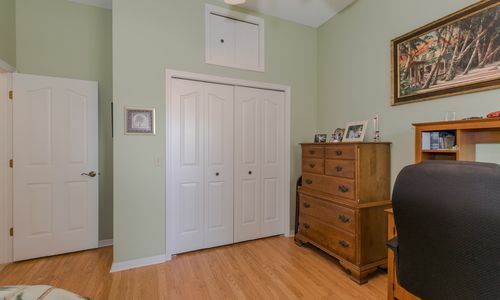 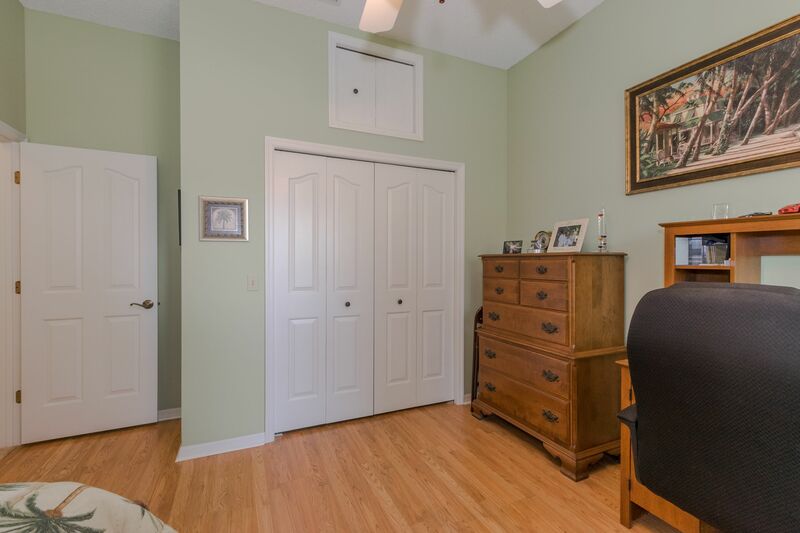 2 car garage is oversized and features a side entrance, stairs to attic and a sink. 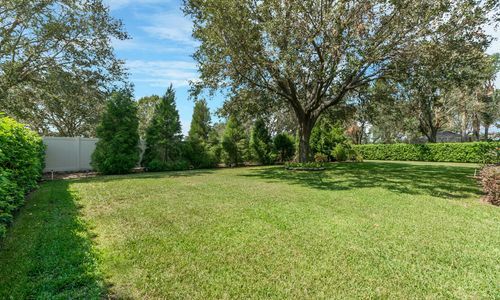 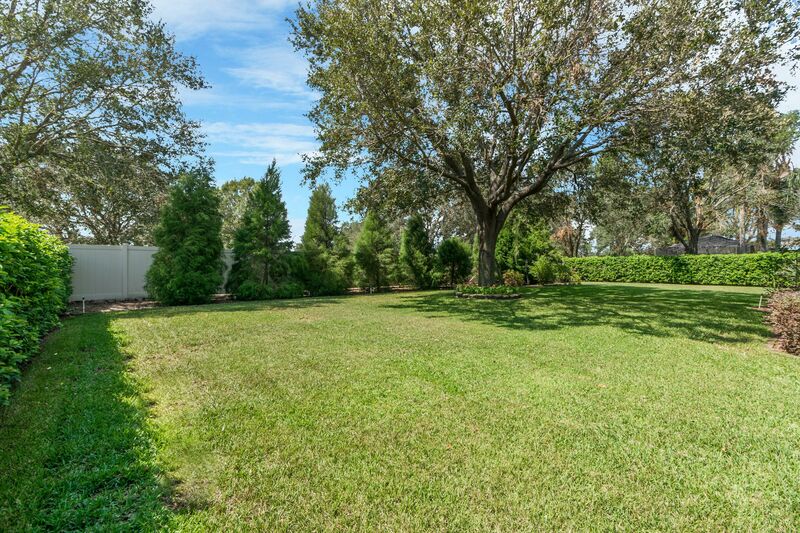 The 0.35 acre lot has a fenced backyard, mature landscaping, irrigation well and plenty of space to add a pool. 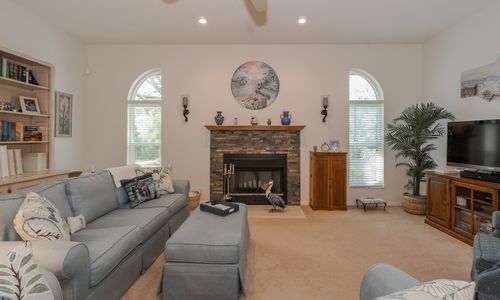 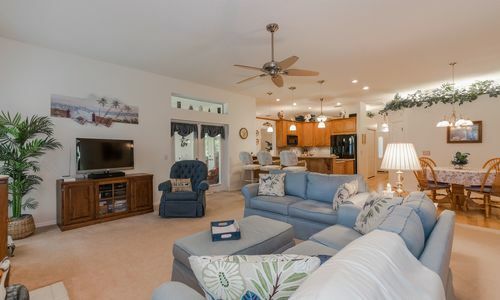 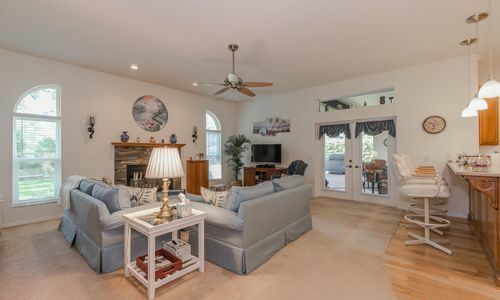 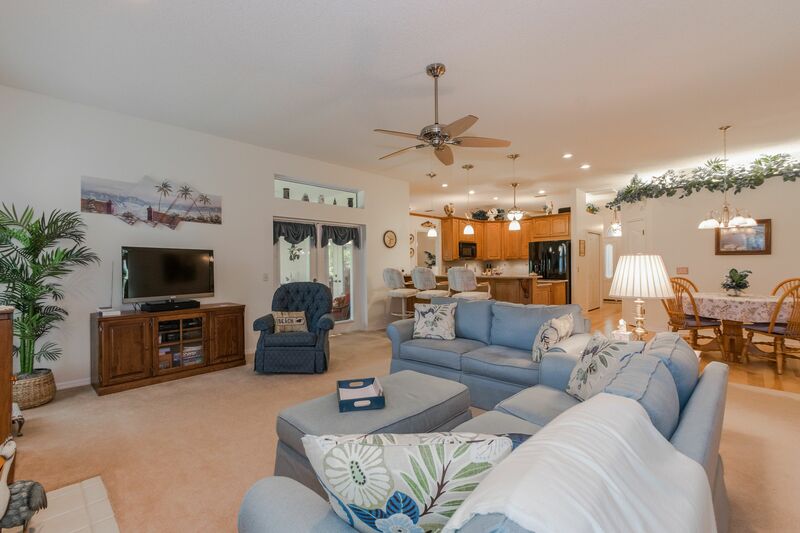 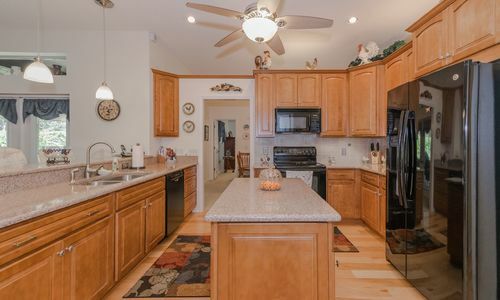 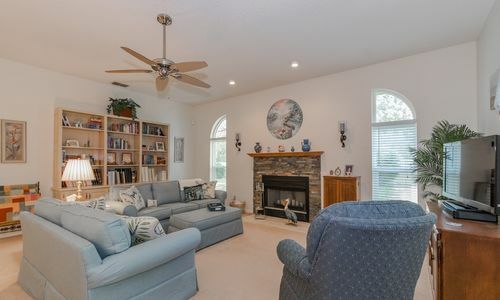 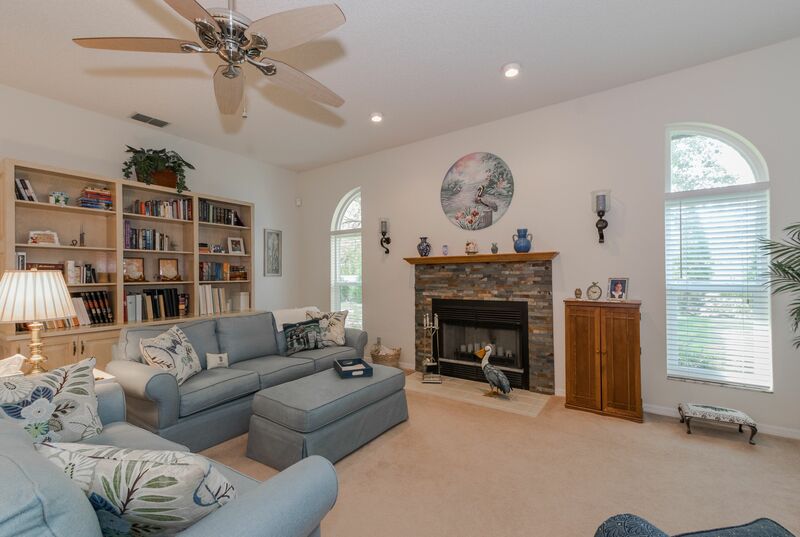 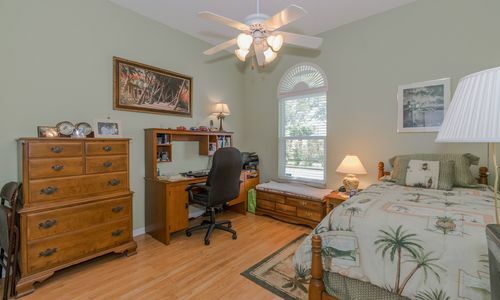 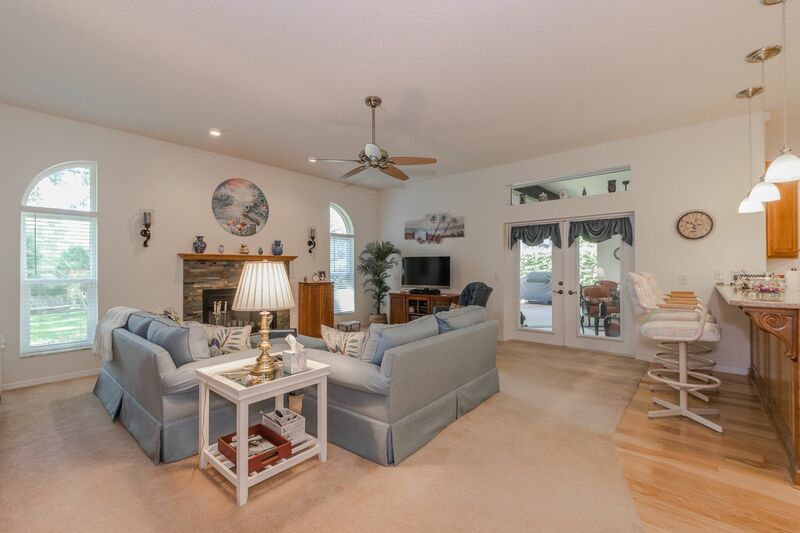 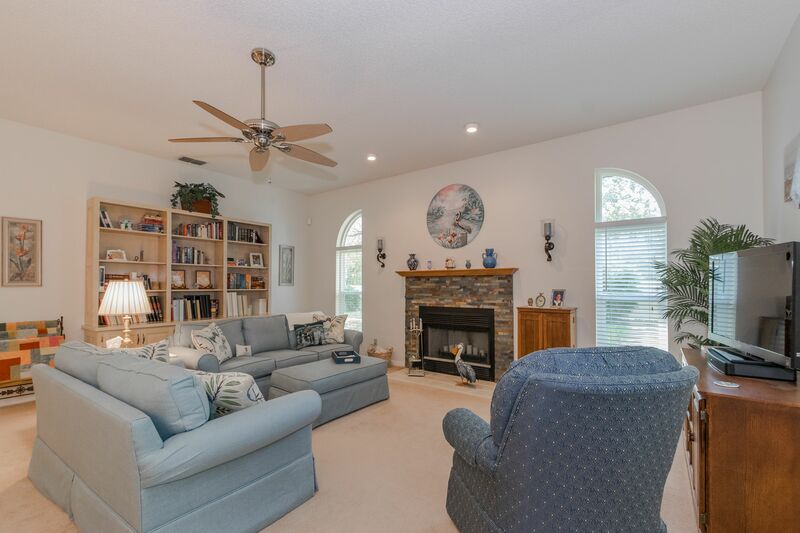 Other features include; double paned windows, Safeguard triple paned windows in the family room, 2nd & 3rd bedrooms and 2nd bath, re-plumbed throughout, new a/c in 2008, 10′ ceilings, security system and more!